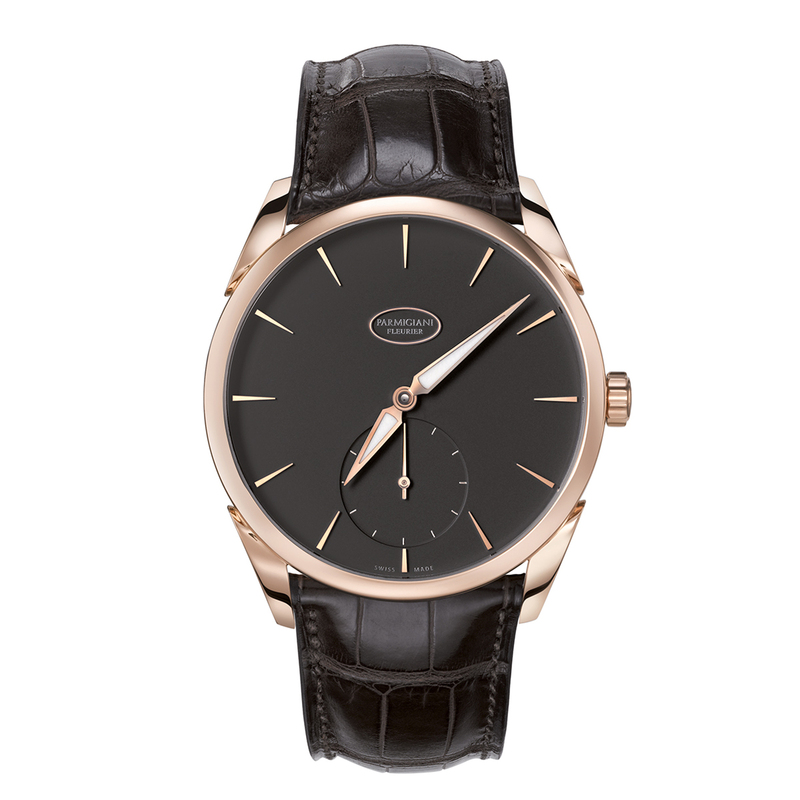 With the Tonda 1950, Parmigiani Fleurier presents an ultra-thin watch designed for classic distinction. The 39 mm rose gold case surrounds a grained graphite dial with rose gold-plated indices and delta shaped, luminescent hands. The small seconds are located at six o'clock. Visible through the transparent case back, this watch is powered by the automatic calibre PF701 and offers a power reserve of 42 hours. A black Hermès alligator leather strap with a pin buckle adds the finishing touch.